U.S. home prices increased for the 67th straight month on an annual basis in November. California home prices rose to $527,000, a year-over-gain of 9.32 percent. San Jose is the most expensive major housing market in the nation, with a median sales price of $1,073,000. It is also the country’s fastest appreciating market, with prices up by 19 percent from November 2016. Home price appreciation continued across the board as 2017 neared its end, with San Jose again posting the highest annual gain of any major U.S. metropolitan area. Black Knight’s latest Home Price Index puts U.S. home prices at $283,000 as of November, essentially unchanged from the previous month to remain at a record high. Prices were up by 6.44 percent from November of 2016 for the 67th consecutive month of annual gains and are 42.05 percent above the trough observed in January 2012. California also saw home prices climb to another new high of $527,000 in November. The state’s HPI increased by 9.32 percent year over year, the second-biggest gain of the 20 largest states included in the report. Golden State home prices are up 77.40 percent since they bottomed out in 2012. 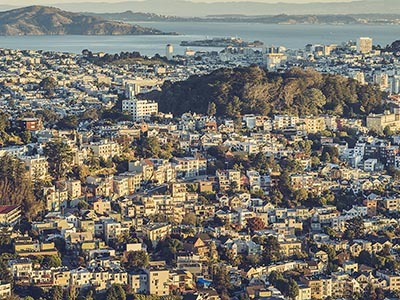 National and statewide appreciation trends carried over to the Bay Area, with the region’s two largest metro areas also setting new price peaks. At $1,073,000, San Jose has the most expensive home prices of any of the nation’s 40 largest cities. San Jose also posted the nation’s largest annual price gain and increase from the trough, a respective 19.04 percent and 112.65 percent. San Francisco is the nation’s second priciest housing market, with a November HPI of $861,000. Prices in San Francisco were up by 11.50 percent on an annual basis and 104.86 percent from the trough. The latest employment data indicates that demand for California real estate should remain strong in 2018. In a recent analysis, Pacific Union Chief Economist Selma Hepp said that the state created more than 100,000 jobs in the last two months of 2017, while the unemployment rate dropped to 4.3 percent, an all-time low. And according to a Bloomberg report, expansions by Bay Area tech companies such as Google and Facebook — as well as initial public offerings by companies like Dropbox — virtually ensure that local home prices will continue to ascend in 2018. This entry was posted in California Real Estate trends, Economy, Housing trends, Real Estate Trends. Bookmark the permalink.